Martin Luther King, Jr. Memorial Library, DC Public Library’s main branch, Washington, DC, November 2013 (never looked this nice in 1995). 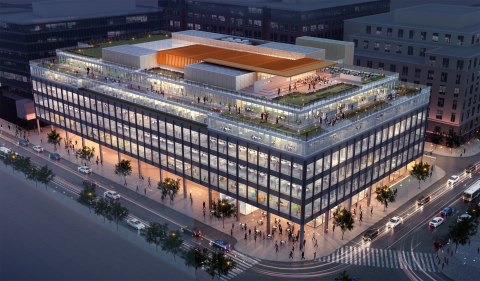 (http://popville.com). Twenty years ago this week I began the official phase of my doctoral thesis research. But it was much more than reading monographs and finding old papers at the Library of Congress and the Moorland-Spingarn Research Center at Howard University. It was also a long trip, where I would spend the next two months living in Washington, DC, to do my research on multiculturalism and multicultural education, and to find evidence of both in Black Washington, DC and in the segregated DC Public Schools. It was also the first time I’d lived away from Pittsburgh or the New York City area, meaning that I had a new city to get to know. The trip truly involved my past, present and future, all at once. I spent my first five days visiting with my friend Laurell and her family in Arlington while looking for some temporary housing of my own. I’d eventually run into two Pitt friends and two Carnegie Mellon friends while in DC, and develop at least one new friendship between February 2 and March 24. I talked with my favorite teach in Harold Meltzer during that trip, learning more than I ever wanted to know about some of my classmates and Mount Vernon High School in the process. 7800 block of 12th Street, NW, Washington, DC, July 2014. (http://maps.google.com). Mostly though, I split my Washington mission into three phases. Phase one was to find a cheap place to stay. After a day of dealing with Howard University professors-turned-slum-lords in LeDroit Park, I went through the Washington Post to find a series of rented rooms with shared bathrooms and kitchens. Finally, I found a place in Shepherd Park, two blocks south of the DC-Silver Spring, Maryland border. 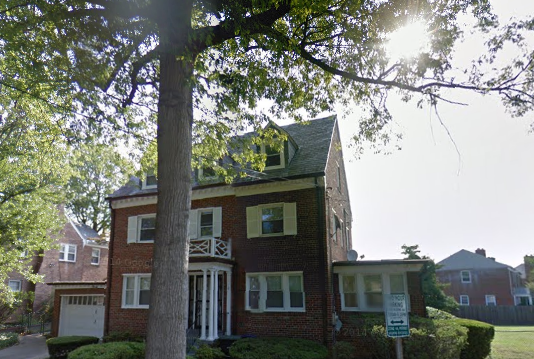 It was a three-story house in a decent neighborhood on 12th Street, NW, with Blair Park, the Silver Spring Metro, and a corner KFC within walking distance. The landlord seemed decent enough, and my basement room came to $95/week with a $100 deposit. Those were the days, before gentrification and the housing boom sent the cost of shelter through the roof! Phase two of my trip began Wednesday, February 8. I organized my schedule based on going to a number of archives and collecting materials first. I started with the Moorland-Spingarn Collection, which had been picked pretty clean by Henry Louis Gates (via buying collections) and by other, less reputable researchers (many who stole materials). I got to meet and talk with the archivist Esme Bhan about my research, which was wonderful. Still, I wondered how much longer Moorland-Spingarn could stay a reputable venue for scholarly research, with its lack of funding and lack of security from vultures emptying records. The following week I split between the Columbiana Division at DC Public Library’s main branch, Martin Luther King, Jr. Library between Chinatown and downtown, and the DC Public School Archives on 17th and M. The DCPL portion of my work was an experiment in filtering out the smells and the sights of the homeless and mentally disabled. Not to mention the ability to not use the bathrooms in the building for eight hours at a time. The men’s stalls didn’t have doors, by the way. I spent only three days there, and rushed through gathering background on interviews of Black Washingtonians that the library had conducted back in the early 1980s. It didn’t help I had to deal with a peeping Tom at the old Hecht’s department store, where the bathrooms were much nicer. 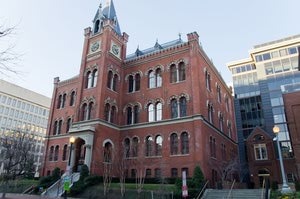 Charles Sumner School Museum and Archives, Washington, DC, February 6, 2015. (http://dc.about.com). I found a gold mine of materials on formal and unofficial education policies regarding DC Public Schools during the Jim Crow period — especially between 1920 and 1950 — at the DCPS archives. But because they didn’t have a working copier, the archivist there allowed me to take original records going back seven decades to the Sir Speedy on M Street to make my own copies. This was in contrast to my three days Presidents’ Day week at the Madison Building of the Library of Congress, where security was tighter in ’95 than at most airports in 2015. The Library of Congress part of my data gathering was intriguing. If only because their rubber chicken lunches were expensive ($7), and because I found more material on W.E.B. Du Bois, Carter G. Woodson, Kelly Miller, Alain Locke, Anna J. Cooper and Mary Church Terrell there than I did at Moorland-Spingarn. Finally, I ended phase two with the Columbia Historical Society in Dupont Circle and a two-day expedition of finding nothing at the National Archives in DC and in Greenbelt, Maryland. I spent most of March figuring out what to do with two big boxes’ worth of new materials and writing what would be parts of Chapter 2 and Chapter 3 of my dissertation. In between, I did find time to hang out. With my new friend Marya, who was from DC, but was working on her history doctorate from the University of Michigan. In addition to being plied with vegan options for my delicate gastrointestinal tract and talking about our research, we did joke a bit about the idea of my Joe Trotter and her Earl Lewis actually being friends in any real sense of the word. There was also time to go out to dinner with Laurell, take in a couple of bad movies with my Carnegie Mellon friend Tracie (like Losing Isaiah), and even have a quick lunch with Trotter during his own quick visit to DC. 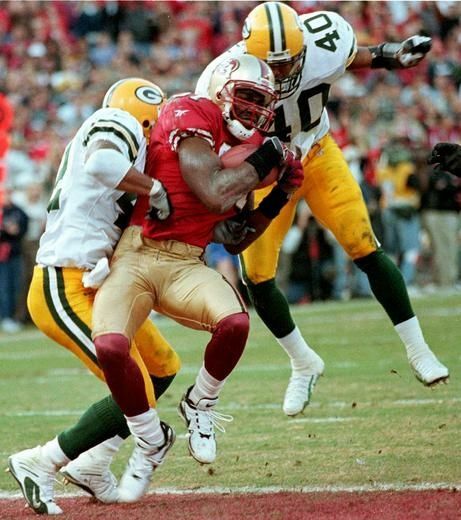 Terrell Owens hauls in ‘The Catch II’ from 49ers QB Steve Young, Candlestick Park, San Francisco, CA, January 3, 1999. (Getty files via Toronto Sun, January 10, 2013). After seven weeks of living in DC, I took the train up to New York to go visit my family in Mount Vernon for a few days. What was great about those two months was how peaceful everything was. I was three weeks away from becoming a Spencer Fellow and somehow earning the ire of my doctoral advisor. My family was a month away from becoming homeless for the next two and a half years. My borrowing to cover the costs of this first major research trip, I’m probably still paying interest on today. But without this trip, I wouldn’t have begun the process of questioning the direction of my career and life, and I wouldn’t have had the opportunity to finish my doctorate. Being single-minded about a mission isn’t bad or good. It just means ignoring small stuff, some of which can occasionally turn into a festering cesspool.